A short video to show you the Blog Business Organizer, as well as a deeper look into the Post Schedule table and I show you how easy it is to copy & paste data into the BBO! Are you using your email like it's a giant filing cabinet? I was and it definitely wasn't working for me. Do you dig through emails to look for past conversations to get the work you need to get done and deliver? Do you spend 5, 10, 15 minutes searching constantly throughout your week? Why this product? Why now? I was searching for a tool or a way to organize every aspect of my blog business for years. I wanted to be more proactive in my business and not reactive. I wanted to be better organized. I knew that tracking different areas of my business would help me become more proactive. Then, I happened upon a tool that allowed me to create a database to track those very things! I shared the database I created with friends and they were so excited to use it. It's helped them immensely as well! I wanted to share the template with you today...it's called the Blog Business Organizer! 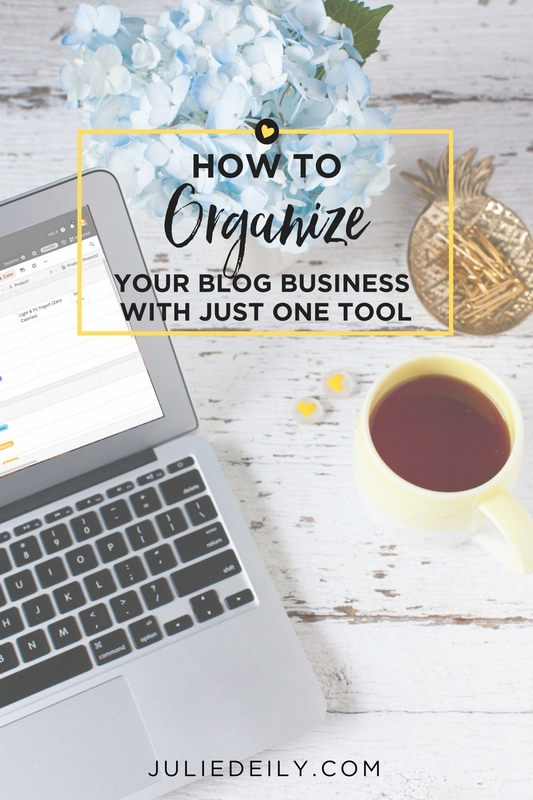 “I've been using the Blog Business Organizer for a week and it's already completely changed the game for me. Julie has managed to think of a way to organize everything about blogging in a simple format that's easy to customize to suit your own needs. 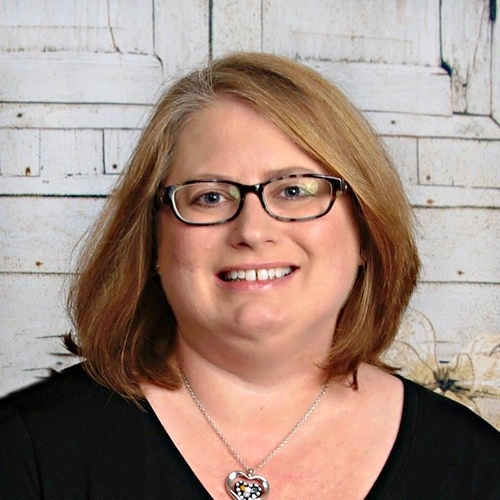 “Julie’s Blog Business Organizer has become an invaluable tool for running my business. Designed with the specific needs of bloggers and independent contractors in mind, this system makes it easy to keep track of projects, invoicing, and the many different things that go into running a successful blog. This system has fulfilled my need for better organization in a way that no other platform has, thus saving me both time and money. What is the Blog Business Organizer? The Blog Business Organizer is a (data)base template that you will be able to use inside a tool called Airtable. The BBO is completely customized for you to keep track of all aspects of your blogging business. 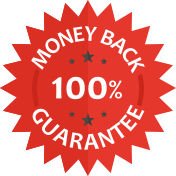 You don't need to use the paid version to take advantage of most of the features in the BBO. You'll get two videos to show you how to get started and you'll have the facebook community to go to where you can ask specific questions about the BBO. And if you feel the need to have a one-on-one chat, I'm here for you! The One-on-One Meeting level is limited so sign up today! Once you place your order, you will receive an email confirmation with a link to the Blog Business Organizer base in Airtable. You'll also receive access to one that's filled with sample data so you can see it in action! You'll get immediate access so you can start organizing your business today! Two Videos to help you get started! & put a plan in place to help you reach your goals! Everything from the Organizer Level! Two weeks of email support to ask me questions about the plan or the organizer. Sale price is valid for one week only! 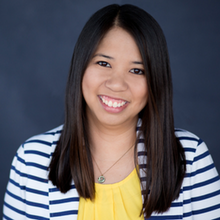 Julie Tran Deily, Blogger at TheLittleKitchen.net, calls herself a nerd all the time. She was a software engineer for ten years, during that time, she started The Little Kitchen in December 2009. She has been blogging full time for almost six years. 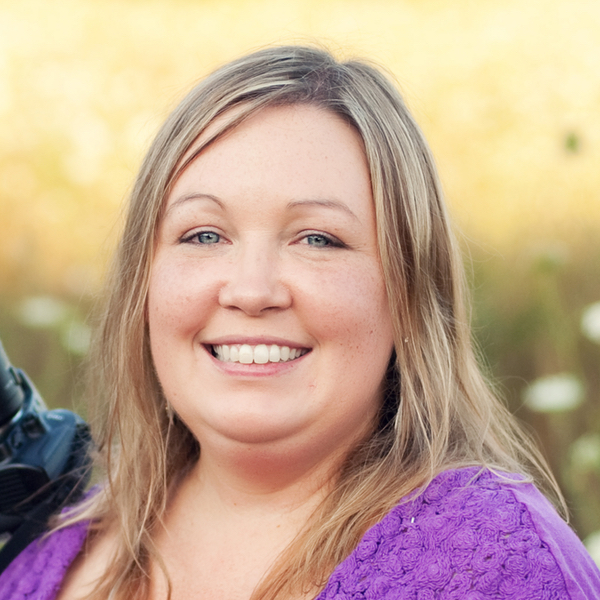 She loves helping bloggers organize their businesses as well as learning new apps and tools.